Jen B is a wedding hair and makeup artist whose love for makeup artistry has earned her a place among the best Chandler makeup artists. Jen has been in the makeup artistry business for the last 9 years, and in these nine years has built a reputation as a professional artist competent in both airbrush and traditional makeup applications. Thanks to her collection of cosmetics from leading brands such as MAC, Makeup Forever HD, Smashbox, etc., she guarantees 100% client satisfaction. Becca is an accomplished freelance makeup artist in Chandler, AZ. 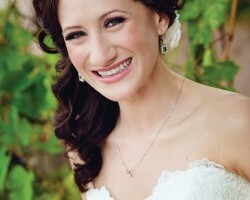 Though she began her career in Chandler, Becca has worked on brides all over Arizona. In her travels, Becca has worked with clients from virtually all part of the country. This has given her valuable knowledge on how to use different products on different skin tones. As a freelance, Becca is always more than willing to travel to a client’s event or photo shoot as the case maybe. Her work has been featured on the speed cable television network. Holli Chris is the proud owner of Kensington Makeup artists. 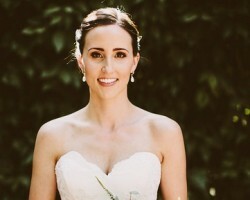 Through her business, Holli has perfected the art of making women beautiful on their special day. To maintain high standards of professionalism, Holli handpicks all artists who work with her in Kensington Makeup Artists. Holli Chris is herself an accomplished bridal makeup artist in her own right. The experience and wealth of knowledge she brings to the business have given it an excellent reputation in the Phoenix metropolis. Kensington Makeup Artists list of services includes corporate event makeup, wedding makeup as well as photo shoots.